We are delighted to congratulate gallery artist, Kimberly Witham, on being named a Finalist of the Clarence John Laughlin Award 2018. 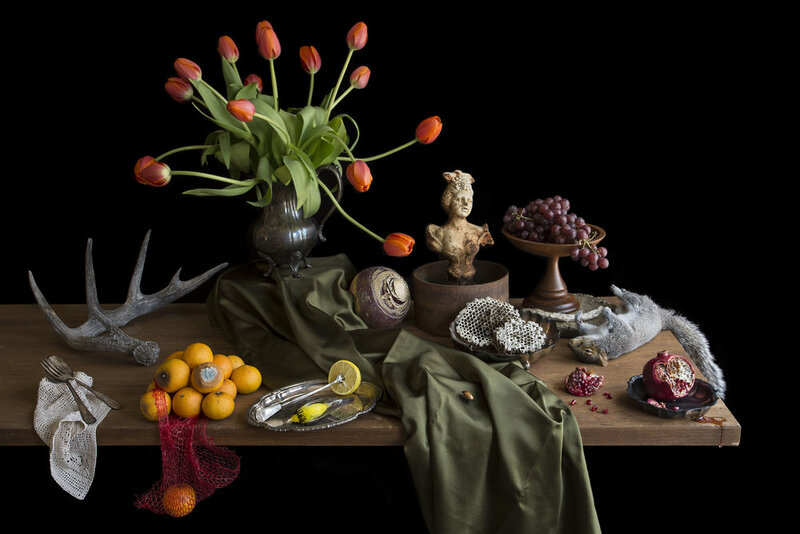 She has been recognized for her extraordinary still life photographs. “My Photographs are informed by my background in art history, my love of nature, and my passion for gardening as well as personal experiences both joyful and tragic. They touch on themes of beauty, fragility and decay. In a larger sense, they are also emblematic of the broken relationship between humans and the natural world”.—Kimberly Witham. The Clarence John Laughlin Award was created by the New Orleans Photo Alliance to support the work of photographers who use the medium as a means of creative expression. The award grants one $5000 prize annually to a photographer whose work exhibits sustained artistic excellence and creative vision. View a selection of artwork by Kimberly Witham HERE.